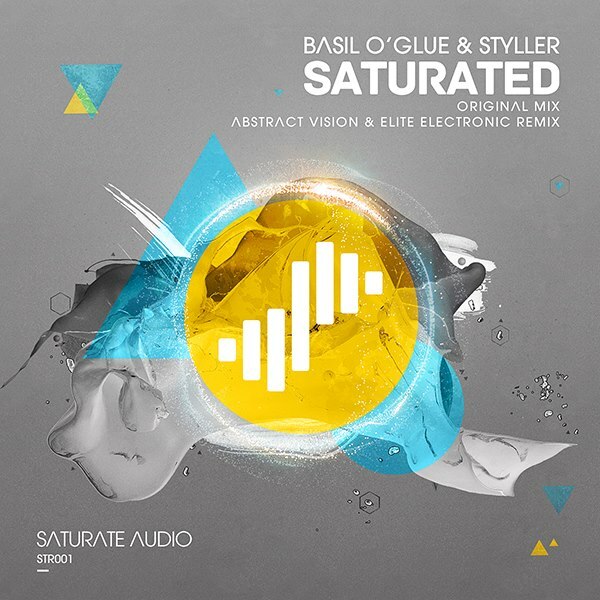 Basil O’Glue & Styller, two of the most promising talents in the EDM scene with releases on top labels like Coldharbour/Armada, Black Hole recordings, Fraction and many others, combine their artistic goals in order to form their own independent record label Saturated Audio. So the rumors circulated within the EDM social media is true and Saturated Audio is proud to present their first release including a massive remix by the Russian producers Abstract Vision and Elite Electronic. The first Saturate Audio release is called Saturated and is produced by the label owners Basil’O’Glue and Styller. The original mix encapsulates what is good in the EDM today and particularly in what we term as deep progressive trancer for the big rooms. Saturated is a brilliant dark and mysterious journey into the unknown with deep basslines, bubbly beats and haunting atmosphere that keep the clubber alert about what is coming next. The breakdown hides a nice and tasty surprise in the form of a huge rave style distorted synth that you know that when will be on, the crowd will start cheering and shouting with pleasure. The beat returns along with that very strong melodic theme and it will be hard to stand still and not be carried away from that fantastic climax. Quality beats served on the right doses from the two big talents. Second version on the package is the harder and ready for peak time action Abstract Vision and Elite Electronic remix. The Russians continue to blow our socks off with a super solid tougher rework that puts emphasis on the tech trance side of the track with rougher beats and basslines and very energetic rhythm to it. You can expect side chain effects, awesome breakdown with hair raising synths and great application of that ravey lead that drives the track to its final destination in an epic and emphatic way.